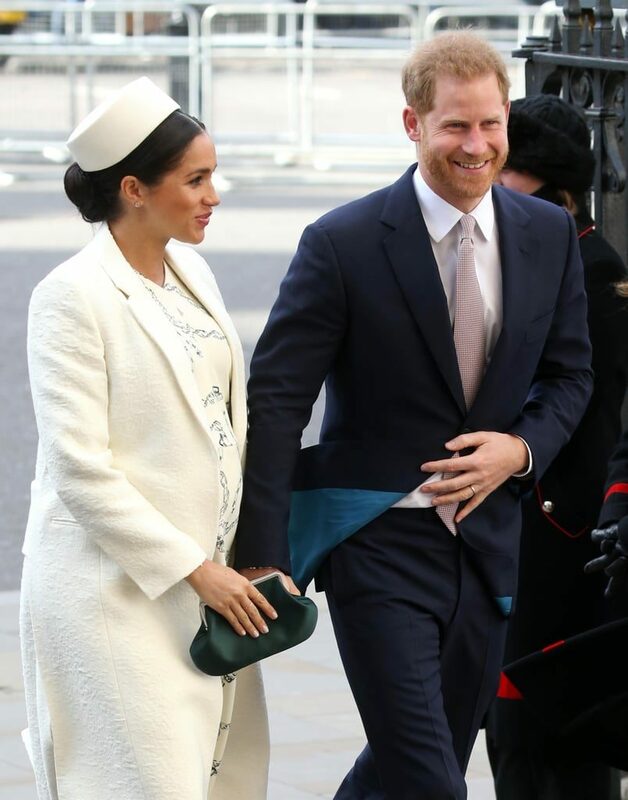 As I mentioned in yesterday’s post, the Duke and Duchess of Sussex participated in two official royal engagements on Commonwealth Day! 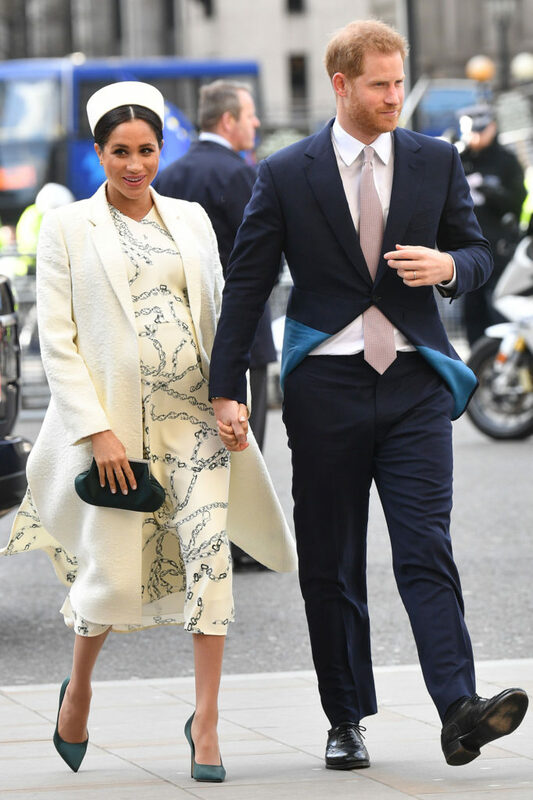 The first was a visit to the Canadian Embassy, and the second was a church service at Westminster Abbey with the rest of the Royal Family! 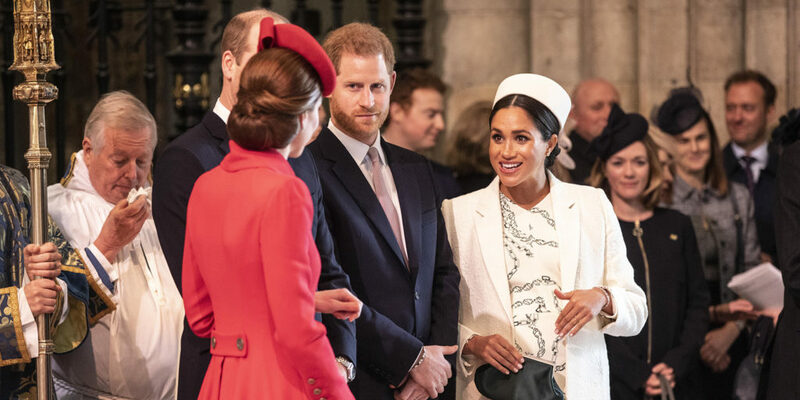 Meghan changed into a completely new look for the service. For this one, she opted for a nearly head-to-toe Victoria Beckham look! 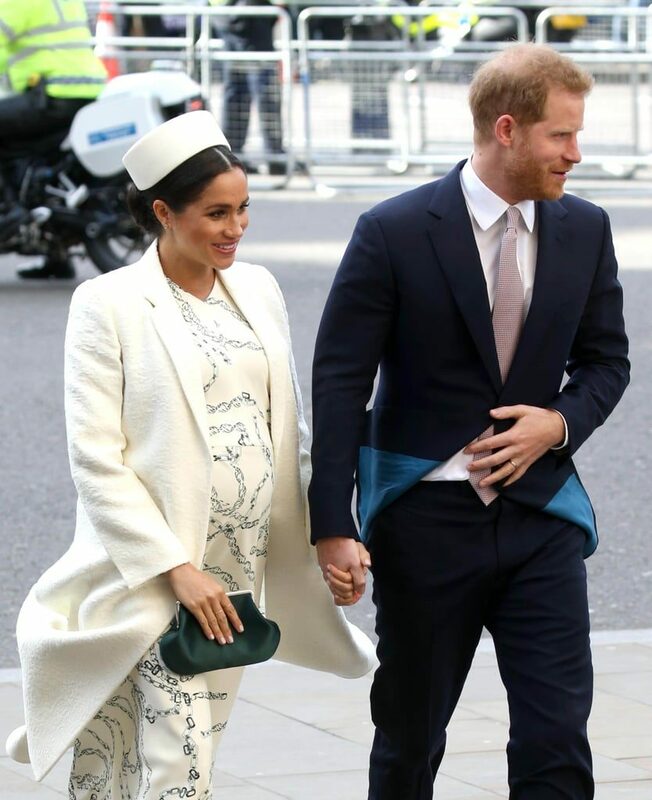 Featuring a beautiful white coat, a chain-print midi dress, and topped the look off with green satin pumps and a matching clutch. The only item not by her buddy Beckham was the pillbox hat she wore! The addition of the hat was very Jackie-O, but I’m thinking it would have looked a bit better less high on her head.